After a busy day at Hollywood Studios and some much needed rest for our twins, Mia and Everly, as well as myself, we were ready to head to Disney’s Magic Kingdom. Because the previous day didn’t go quite as planned, I decided to make sure we attacked the Magic Kingdom in a way that would benefit everyone. Thankfully, my parents were on this trip with us, which meant that we weren’t outnumbered. We arrived by bus from our Disney resort, the Art of Animation, to a HOT and humid Magic Kingdom. 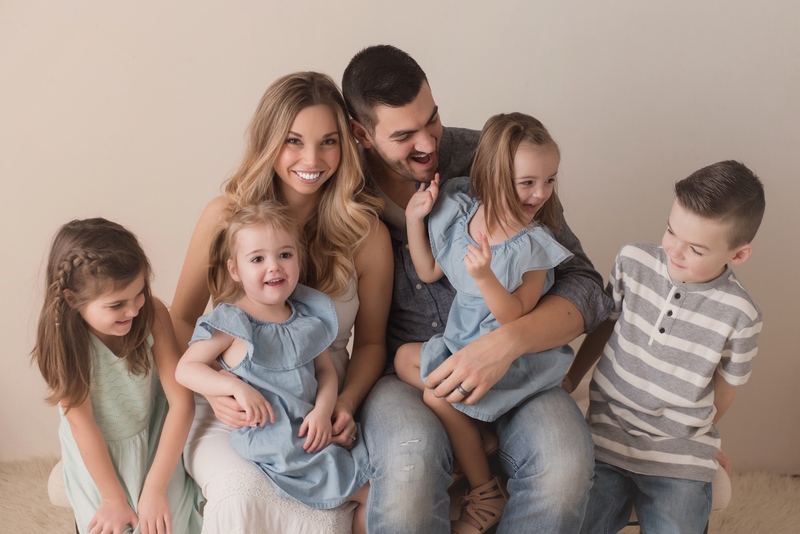 Everyone was buzzing with excitement, but our four-year-old daughter, Beau, was in a funk. I couldn’t blame her, her last three days consisted of a 23 hour drive from Toronto and a full day at the Bibbidi Bobbidi Boutique and Hollywood Studios. She was tired. In fact she had a couple melt downs at the front gates. 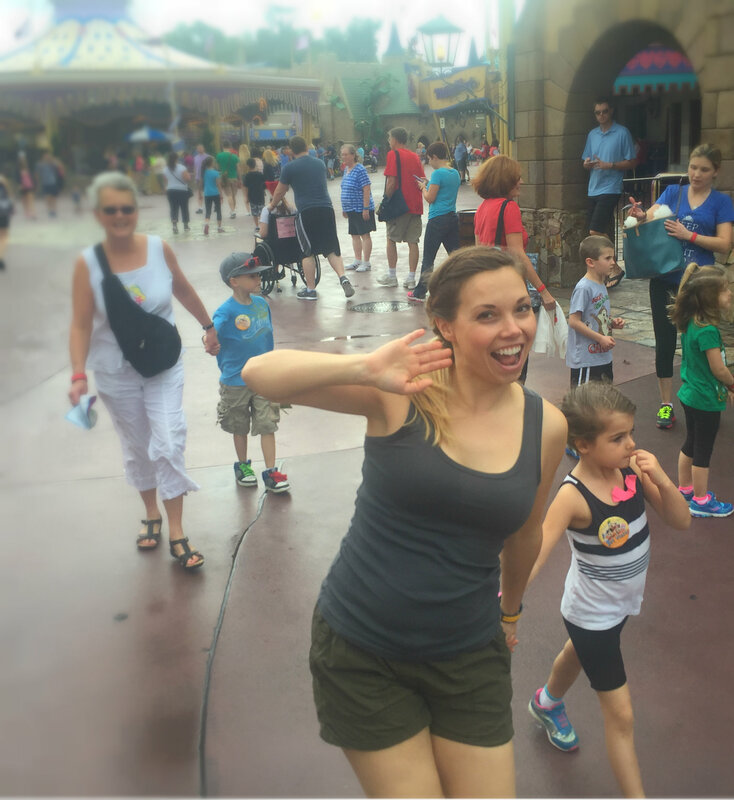 Once inside the Magic Kingdom, I worked hard at cheering Beau up, acting like a goof. She wasn’t impressed. Finally, a Disney cast member saw that Beau was grumpy and worked hard at pulling her out of her mood, while taking photos for our Memory Maker package (which I highly recommend). It worked! It was time to put my plan into action. We headed straight through the the park, past Cinderella’s Castle, to Fantasyland. 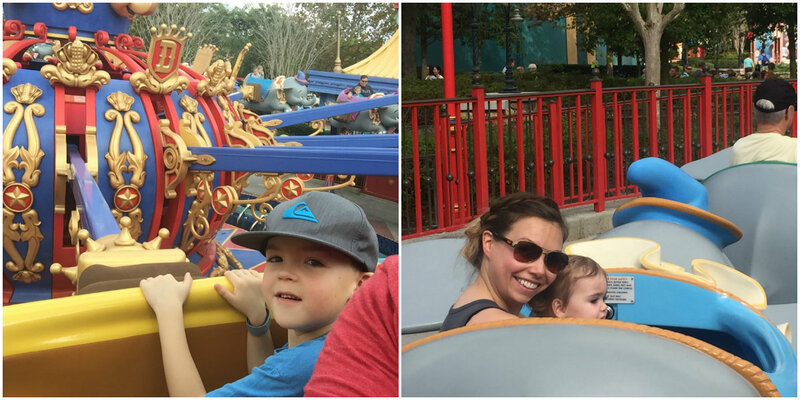 There, we enjoyed all of the rides that we could include our 17 month old twins on. 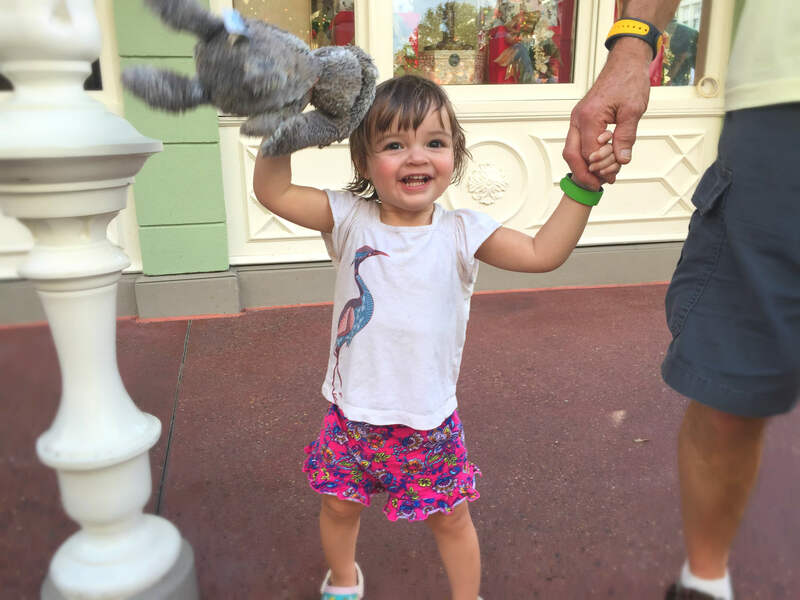 Our first stop was “It’s a small world,” which we all loved, and Everly wouldn’t stop standing up and dancing. We thought it was hilarious. The kids, my husband, Mike, and my parents enjoyed the Carrousel, while I happily watched and took pictures (I get motion sick very easily)… By this point Mia and Everly were really tired. My mom and I stopped with Mia and Everly and had a much needed snack. Everyone else went on to enjoy a couple more rides. 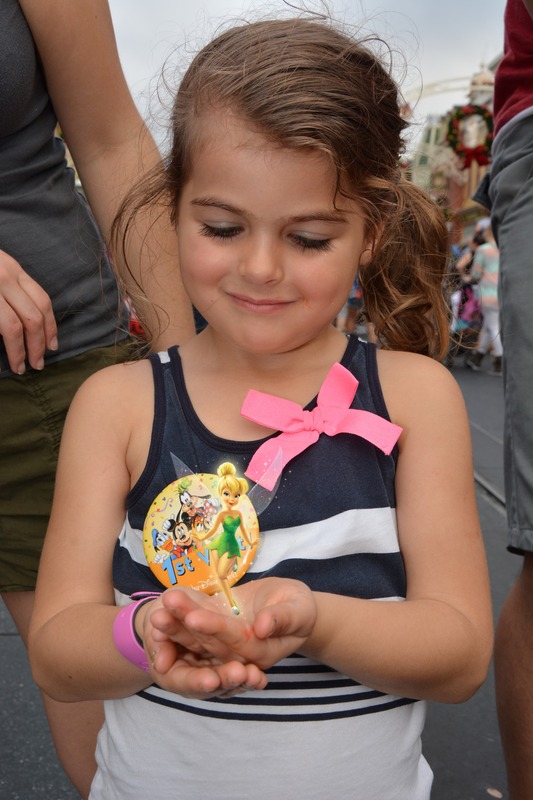 We continued on, choosing attractions in Tomorrowland, that included everyone, but eventually Mia was done. It was time for lunch anyways, so we found a spot on Main Street, grabbed some hotdogs and took a break. Suddenly, this amazing parade came out of nowhere and there was this huge dance party! We raced over and all broke into dance. 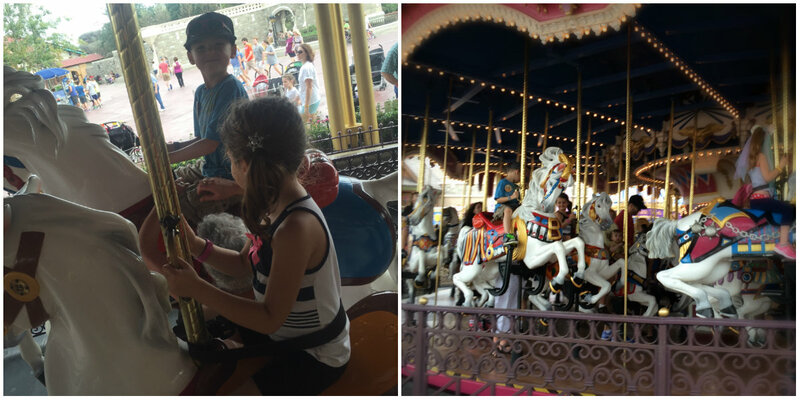 It is our favourite memory of Disney World! After our impromptu dance off, we walked over to Adventureland (my personal favourite). My Dad offered to walk with Mia and Everly while the rest of us went on a few rides including Pirates of the Caribbean. 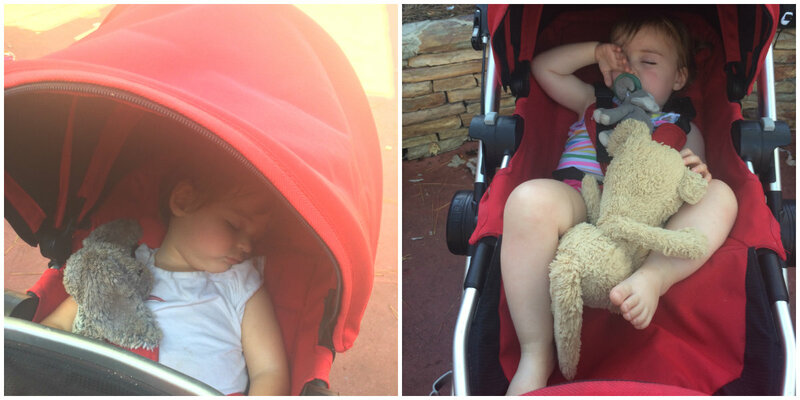 Once we came out, Mia and Everly were fast asleep in our stroller. They ended up sleeping for an hour and a half, (which was pretty good), while I walked them around and everyone enjoyed a couple more rides. By 2:30 p.m. we were faced with the decision of when to pull the plug. We had covered most of the park and we didn’t want to push the kids too far. Should we try to stay for the parade? Nah, we decided to end on a high note and get back to our resort in time to go for a swim. 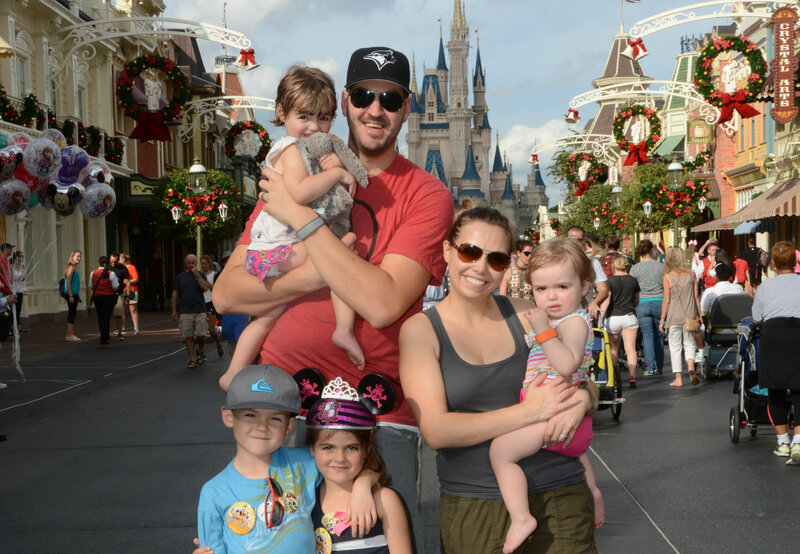 We were very happy with our day at Disney’s Magic Kingdom. We hope to do this all again in two years, and by that point our kids will be a little older and our experience will change with their age. Our Disney World memories are discussed daily in our home. We had a blast and can’t wait to go again soon! Don’t forget to follow Nesting Story on Facebook to make sure you don’t miss the rest of my posts about our trip, including Art of Animation and tips, as well as our two weeks on Sanibel Island. Stay tuned! Our Florida vacation was NOT sponsored. This vacation has been in the making for a long time. As always, all opinions are my own. Magical! You two are troopers.. Beau is so sweet with her tinker! 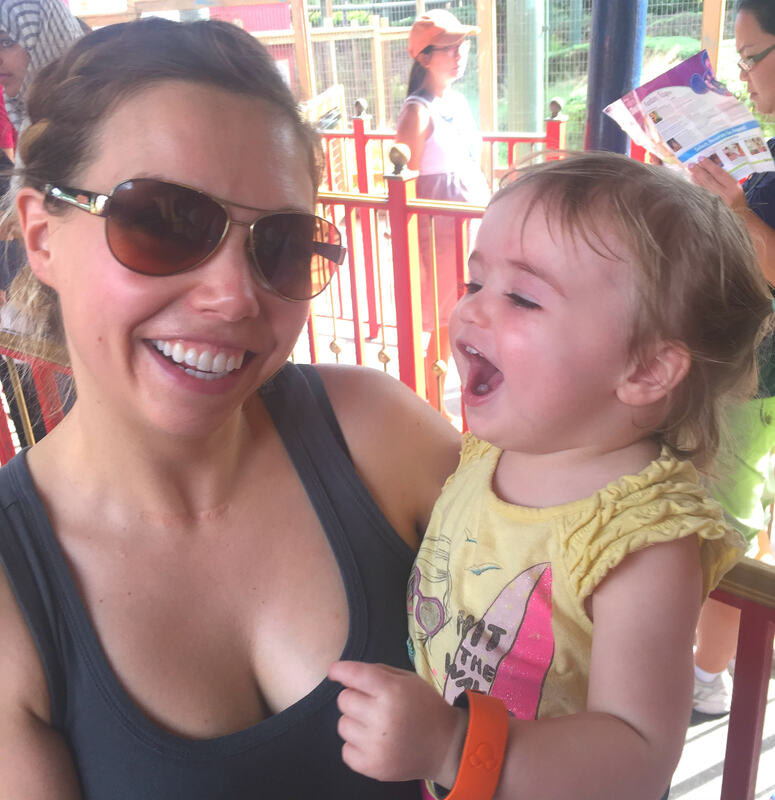 You are an amazing mom Jo!